In his candid chat with Google co-founders, Larry Page and Sergey Brin, the venture capitalist Vinod Khosla digs around some of the current happenings in Google to uncover the mystery surrounding the launch of self-driven cars, the reasons for vast diversity in work at Google and the key to synchronize everything to create a perfect blend. Khosla is one of the first VCs Page and Brin interacted with whey they wanted to sell their company to a firm Khosla supported. From then to now, Khosla believes that the world would have been poorer if that deal had gone through. 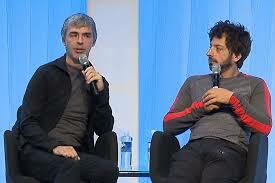 Khosla raises the episode when in the initial days Google went to the search leaders of those times, like Lycos. Page explains that they took the concept to all the search companies who were simply not interested in what they were doing. It was obvious they didn’t want to buy this company that didn’t really have anything without the people. Instead the companies wanted to hire them to which they found no rationale and hence Google remained unsold. On being asked the reason for high failure rates not just amongst the startups but also the S&P hotshot companies, the co-founders blame it on the dynamism of the operational environment and the inability of the company to successfully go through transition. Having talked of the past and the present of Google, Khosla talks about one of their biggest gamble – self-driven cars. If successful, Page and Brin attribute the car to be a technological breakthrough that would change the future of transportation. They consider it as a means of decongesting roads, reducing traffic caused pollution, optimizing parking space requirement, etc. As to them the cars would do away with the need of ‘one person, one car’ model as a person can be picked whenever he/she needs them. The cars could turn into trains and run at a speed higher than current highway speed saving lots of time. The cars though difficult to actualize owing to the technological and policy shortcomings but are transformative and hence worth of making bets. Vinod like everybody else in the world is amazed by the diversity of work carried out at Google and hence lastly asks about its ability to streamline all the operations in the right proportion to build world’s most valuable company. Larry credits this to their strategy to do less related things. He feels that when a company does many interrelated things it causes management hassles thereby causing failure in the entire system whereas doing unrelated things gives flexibility at all different operations minimizing the spillover affect. This allows Google to handle more things at the same time.